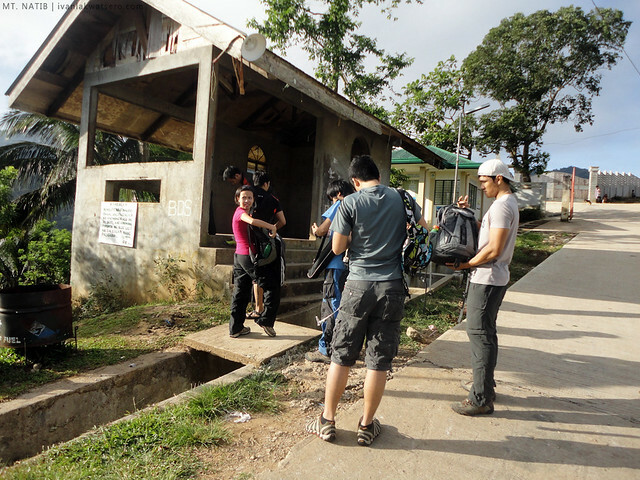 The trike brought our group to a military headquarters at Brgy. Tala. There, we were welcomed by military men. 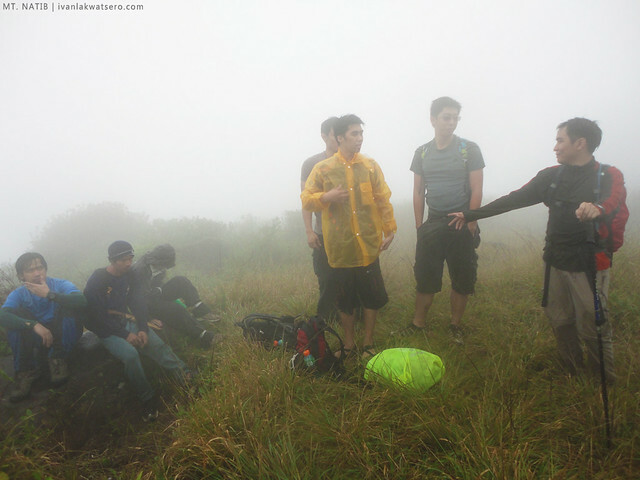 At first they were hesitant if they'll allow us to proceed because according to them, the previous group that hiked Mt. Natib (tinutukoy nila yung mga nag Freedom Climb daw last Jun 12, 2012) left an enormous amount of garbage at the campsite. Naturally, they got irritated by this irresponsible act, thus, closing the mountain permanently crossed their mind. They're going to implement it soon, but at the moment, they're still allowing hikers in the mountain for as long as they were no more than 10. Buti na lang seven lang kami, kaya pinayagan parin kami mag-hike. At 07:30 am, we started the trek. Even if the trail to Mt. 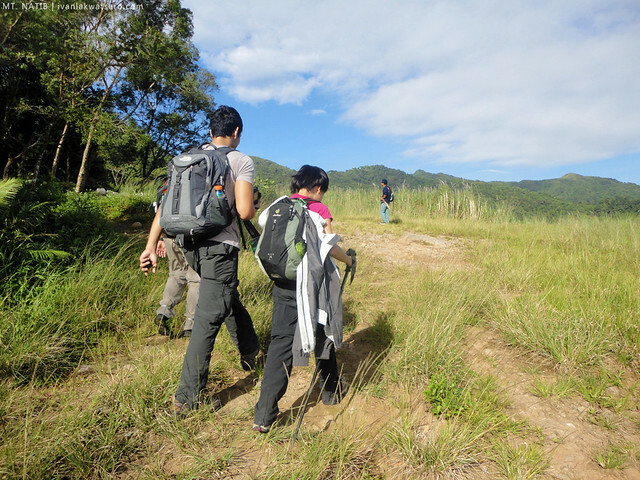 Natib was really not that confusing, we still hired a guide, tulong na rin namin sa locals. 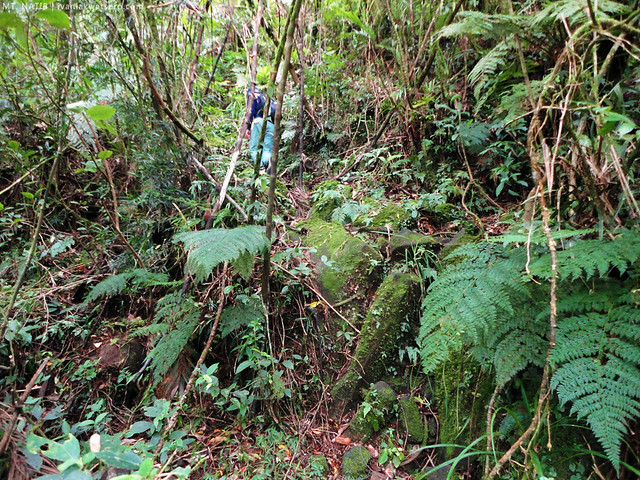 No steep ascending trail was encountered in the first 2 hours of the trail. It was fairly easy, you wouldn't think you were climbing a mountain. 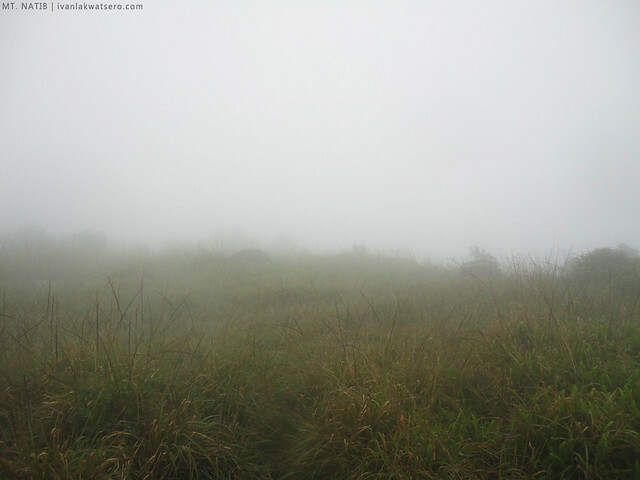 Also, the weather was great, that's why I was expecting an awesome view at the summit. View along the trail, Mt. 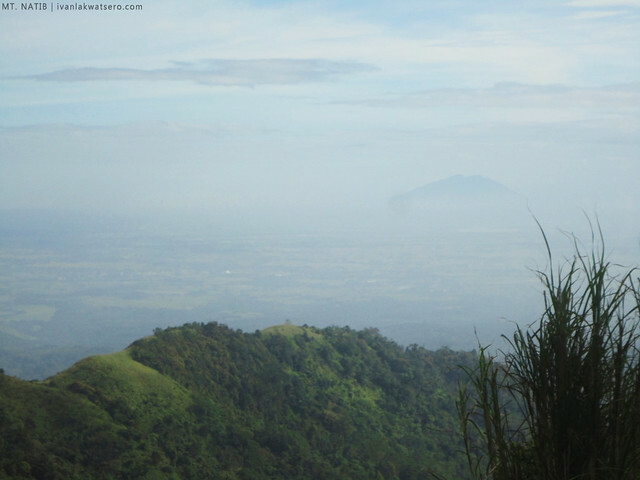 Arayat at the horizon. 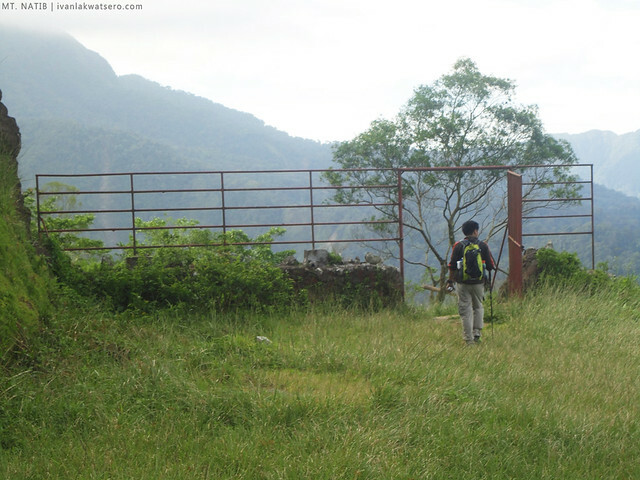 Upon reaching the gate that probably marked 1/3 of the entire trek, Mt. Natib appeared before us. It was however clouded on top, sigh. That clouded summit I saw only means one thing, there will be no summit view for us. 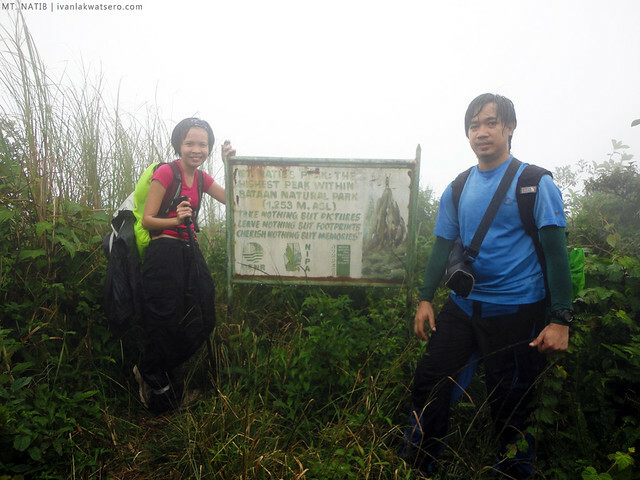 Pero kahit ganon, I was still hoping that wind will blow away those clouds to give way for the summit view we very much wanted. clouded peak of Mt. Natib, paminsan-minsan nawawala naman yung clouds kaya talgang umasa kami na baka mawala din yung clouds pagdating namin sa summit. 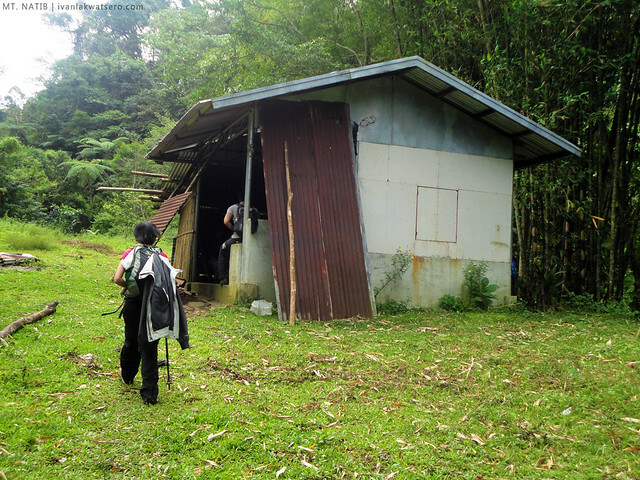 At 09:00 am, we reached a house with a water source. I'm calling this house "the water source house". We rested there for a few minutes before we continued with the easy trek. After about an hour, finally, we arrived at the campsite at the foot of Mt. Natib. From that point, easy trek was over. For about an hour and half, we assaulted the steep trail to summit. Sobrang nakakahingal lang, I was expecting a great view whenever I stop to catch my breath, pero sobrang cloudy lang ng paligid. 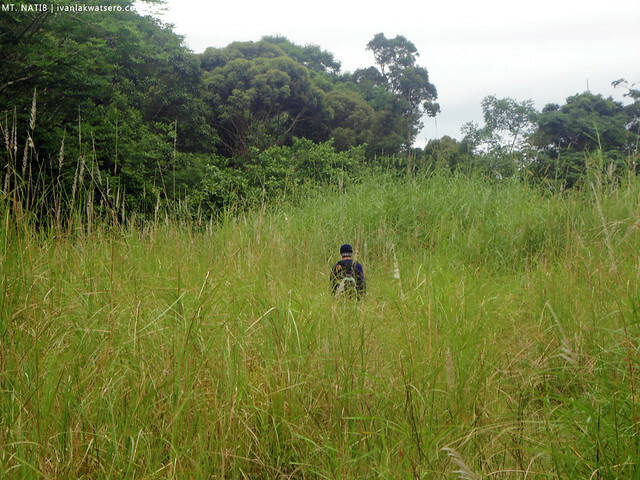 the early part of the ascent was quite a dense forest. 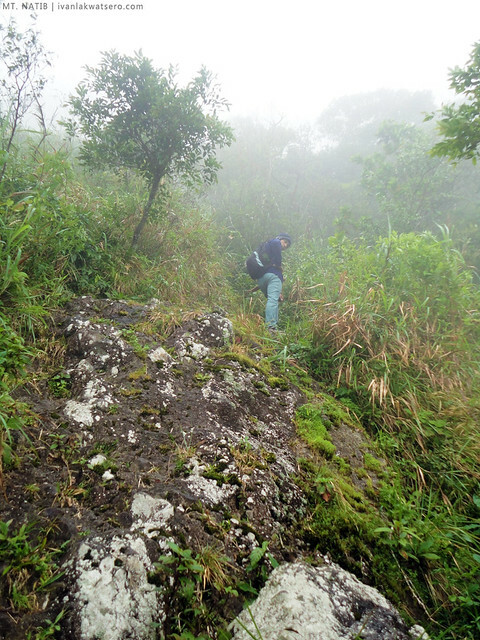 then on the latter part, the trail becomes rocky akin to Mt. 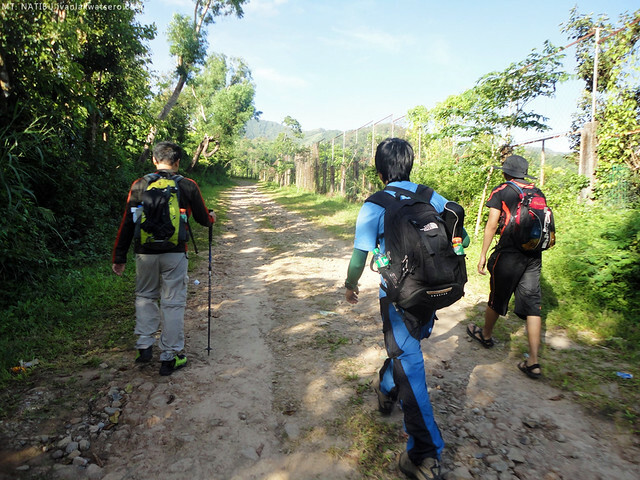 Makiling's haring bato trail. There were roped segments as well. Somewhere at the rockies, I started to feel something slimy at my foot. It's my old friend limatik, I noticed it already leeching my blood, so I removed it. 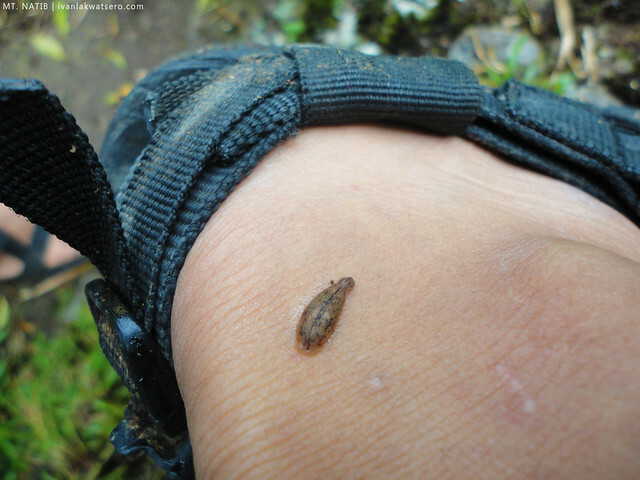 But after a minute from removing the first limatik, I again noticed 3 more limatiks leeching on my other foot, aaarghh! The limatiks of Mt. Natib were so fierce and blood thristy, surpassing the ones in Mt. 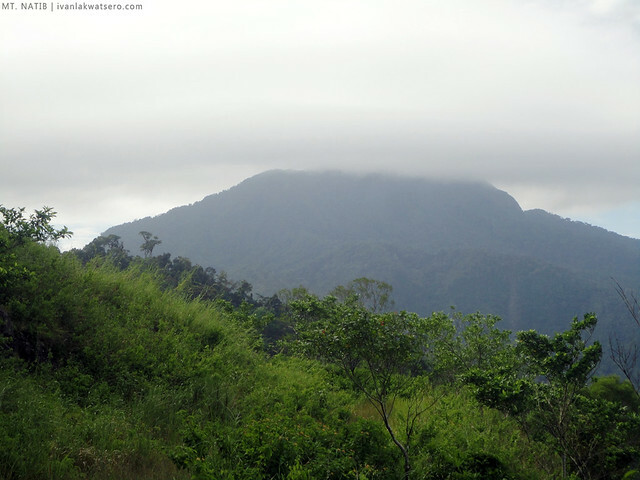 Makiling. I removed more than 30 limatiks in my body, mostly at my foot, and I acquired a total of 16 limatik bites, my worst limatik encounter so far. We reached the summit at 11:20 AM. 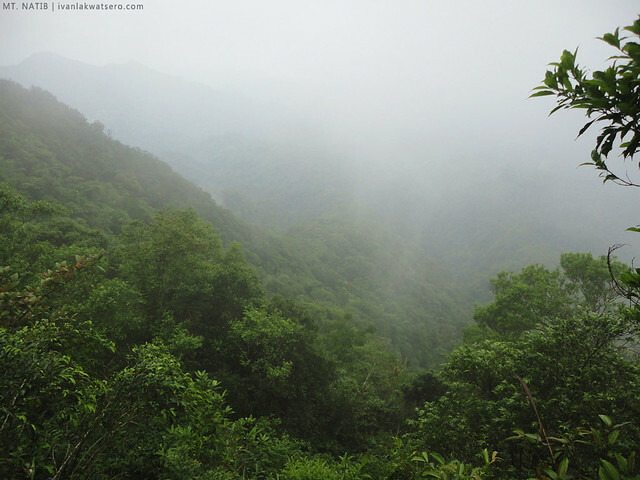 Unfortunately, it was a cloudy drizzly summit. Not a minute, not even a second that the clouds subsided. sighs. After accepting the fact that there will be no chance of a clearing, we descended the mountain. I was a bit disappointed for not seeing the supposedly 360° view at the summit. Definitely kasali na ang Mt. Natib sa listahan ko ng mga bundok na kailangan ng revenge climb. We had our lunch at the "watersource house", buti na lang masarap yung ulam namin na siomai, somehow napawi yung disappointment ko. And by 04:00 PM, we're back at Brgy. Tala. 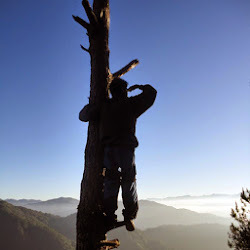 Successfully reached the summit but still needs a revenge climb, I want that summit view! sayang walang view, sir ivan may sidetrip daw jan na falls sayang d ako nakapunta sa nag invite sa akin para may experience na sana ako sa limatik hehehe..
next time na lang namin pupuntahan yung falls :) ayoko na ng limatik, sobrang kati nila. frankly (w/out pambobola) I like the pictures. sir, anong byahe sinakyan nyo? balanga o mariveles pwede ?yung guide magkano at madali kumuha sa jump off? tnx! 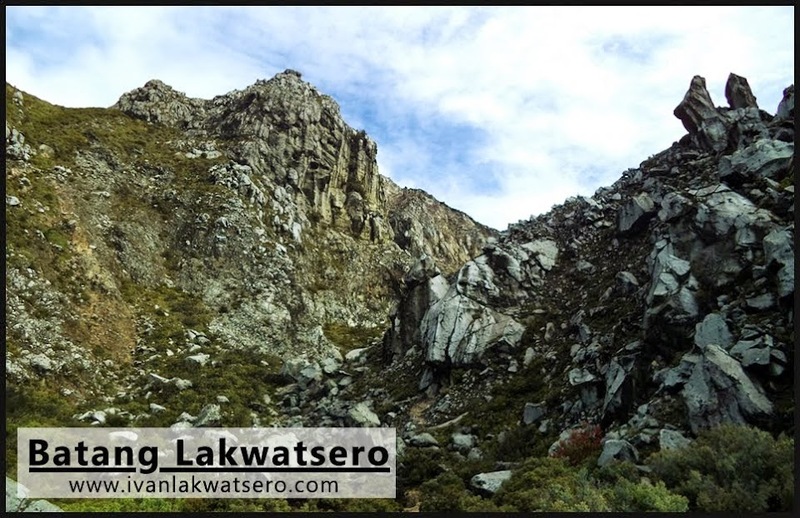 Ibang-iba na ang itsura ng Natib when we climbed it last May 2016 as compared to the pictures posted here. Nagkaron na ng extension yung "Water Source House", tas yung mossy forest pagkalagpas sa water source house eh hindi na mossy.. luckily din, hindi naman kami nilimatik. Pero a week later, may nakita kami na nag-upload ng Mt. Natib Hike nila online, inatake daw sila ng limatik.